One of the most important challenges today is to think about how to respond to the mass exodus of people crossing borders to escape war, poverty and the effects of globalization. This Symposium is an opportunity to think about the changes we need to make to our cultural, social and clinical understanding within the context of this international crisis. 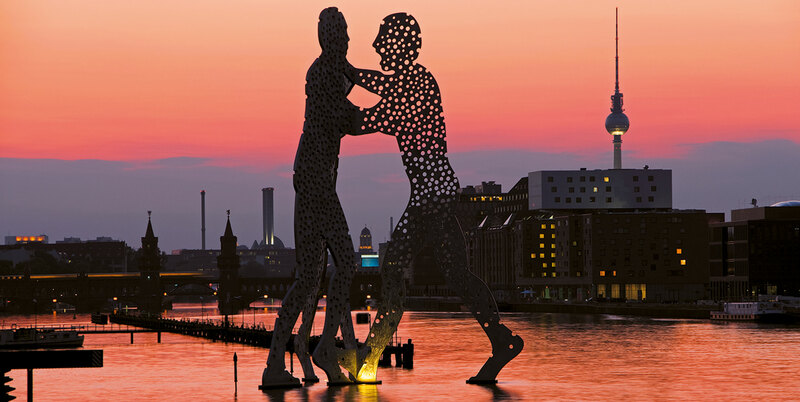 The Symposium will take place in the centre of Berlin, which has become, since the fall of the Berlin Wall, a lively and creative city. It attracts young people from all over the world and has a strongly multicultural city population interested in art, culture and history. It is a city filled with a difficult past and a promising future. Since the 17th century Berlin has been part of the Christian and Jewish cultural centres of Europe together with Krakow, Prague, Vienna and Lemberg. Berlin was the capital of Germany during the National Socialist dictatorship. It was a divided city during the Cold War but today, Berlin is now the capital of a reunited Germany. All these phases of history are mirrored in the very varied architecture of the city. We look forward to welcoming a wide range of people to the Symposium. Colleagues from the former Eastern Europe, those involved in the crisis of the Eurozone and those involved with the vast numbers of refugees crossing borders at this time in our history. The Symposium will be of interest to Psychotherapists, Psychoanalysts, Academics (Sociologists, Psychologists, Anthropologists), Social Workers, Research Scientists, as well as those from other affiliated health and care professions. We hope that the Symposium will be a challenge for all grappling with these issues, whether group analysts or not. Each morning of the Symposium will open with an early Social Dreaming Matrix followed by a Plenary Lecture. Saturday – One Group Analysis or Many? To learn more about each of these, please follow the links at the end of each and, if you would like to offer a contribution, please contact the convenors. The workshops, paper presentations and sub-plenary sessions will also link to the theme of the day. All participants will be able to choose whether to attend small, median or social dreaming groups and the entire Symposium community can attend the End of Day Large Group. In addition participants will be able to both offer and choose to attend the many different events in the programme and engage in the social, cultural and clinical challenges to us all.